Customer experience starts long before customers come through the front door of your restaurant. 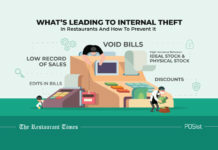 Nowadays, customers often start looking up your restaurant online and land on your website. Your restaurant website is the face of your brand as it forms the first impressions, and serves an essential role in the success of your business. Therefore, your Restaurant Website Design should be unique and appealing to your customers. 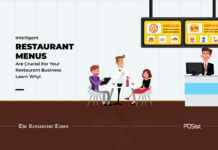 Imagine your restaurant website as a virtual mini-version of your real restaurant. What should it offer? Necessary information, such as menu, ordering hours, location and direction, contacts? Definitely. Online reservation and food ordering? Desirably. But should not be there something more? 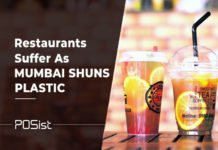 How to design a restaurant website which gives customers a surety that they will have a fantastic time dining at your restaurant at the same time, does not mislead them? 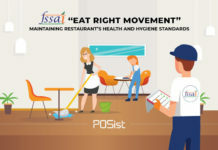 Creating a vibrant environment and finger licking dishes will only make your restaurant sprawling, but that is only half the battle in the culinary business. 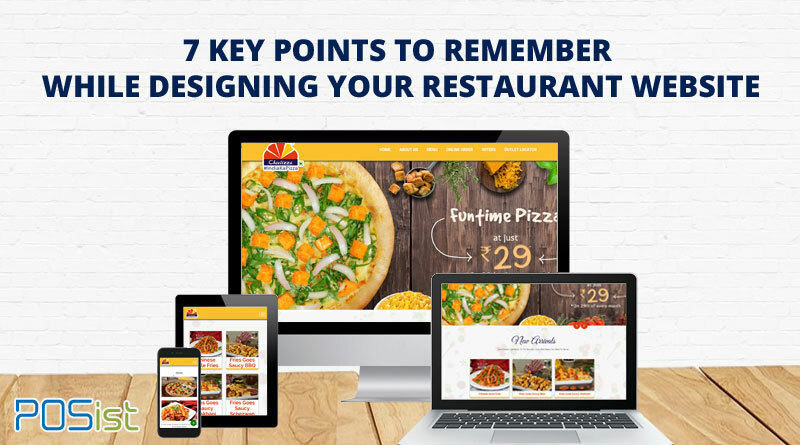 Knowing that restaurant websites can be an extremely potential medium for harnessing the immense crowd that is available in the market you must include these seven main points in your restaurant website design. When you are first starting to build your restaurant website or beginning a significant redesign, you should consider who you’re trying to reach before you start creating new design assets for the site. 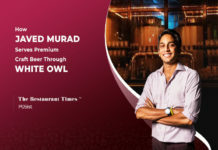 Due to the nature of the online food and beverage business, it’s common to have existing clients and new clients and that need to be given serious thought regarding how you want to best engage with them. 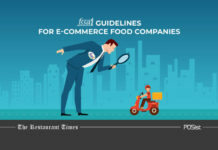 As a result, many food websites can fulfill the requirements of an audience that can vary from a regular customer looking to buy a single item, to wholesale buyers, and brands that are looking for B2B food service. 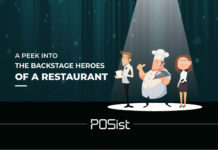 When your restaurant caters to existing customers, you need to learn not only who they are, but how they use your site. For new clients, show them your selling points and give them a reason to be interested in your business and to engage with you. Your restaurant website design should show the desired information clearly. Consider your restaurant website as your online spokesperson. It should be able to answer the top queries of your customers. The first thing that a customer looks for in a restaurant website design is the menu. Whether they wish to order online or are planning to dine at your restaurant later, a hearty menu is what would make the conversion of a website visitor to a buying customer. Ensure that you have clear categories in your menu, such as Veg, Non-Veg, Starters, Main Course, Beverages, and Drinks. If you have enabled Online Ordering, it is highly advisable to have a separate Online Ordering Menu. 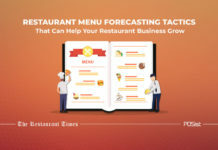 Find out how to optimize your online menu here. Having an Online Ordering Button on your restaurant website gives you an opportunity to convert the visitors on your website to buying customers. Thus, it is also important to have delectable images of your menu items that propel your website visitors to order food from your restaurant right there! Know more about Online Ordering Integration for your restaurant website here. 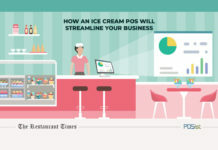 If you have multiple restaurant outlets, your customers may get confused about where to order. Thus, it is advised to put your various outlets on a map along with their complete address, contact details (such as phone number and email id) and their service hours. 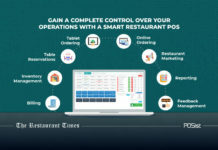 This would help your customers visit your restaurant easily and let them place their Online Orders without any hassles. Asking for Customer Feedback, and acting on it, is essential to a restaurant’s success. Seeking feedback from customers makes them feel valued, helps resolve their grievances, and also gives you parlor’s insight about your restaurant. Find out how you can collect customer feedback in the best way possible here. Having a presence on Social Media has become essential in today’s age as it is one of the most critical platforms to achieve customer engagement. Thus, it becomes even more important to highlight your Social Media pages everywhere, and your restaurant website is one of the best ways to achieve that. Ensure that the links to your Social Media pages are visible on your website. Include a catchy Call-to-Action that encourages people to connect with you on Social Media. Check out the latest buzz, or Like Our Food? Like us on Facebook’ are some of the ways to make people click on your Social Media buttons. 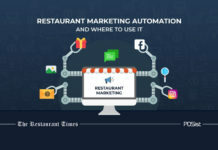 Find out how to make the best use of Social Media Marketing for your restaurant here. When you tell your story, people are likely to connect with you better. 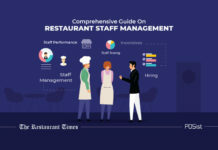 An interesting About Us page that talks about your restaurant’s inception, team, and values is sure to catch your customers’ eyes. Be sure to include an About Us section in your restaurant website design. 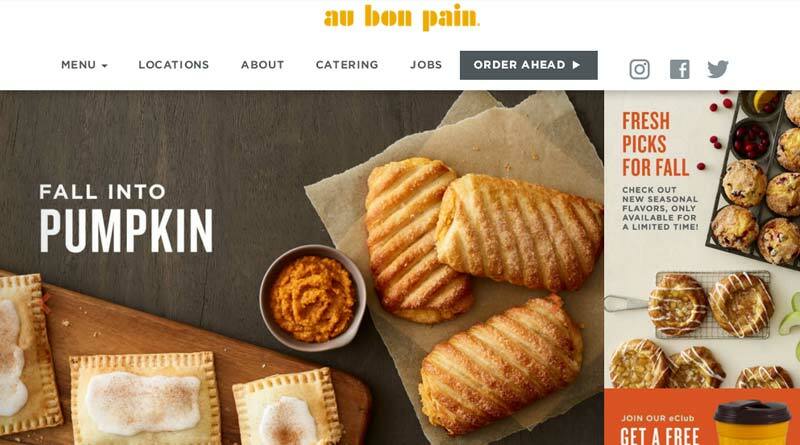 Many food websites fail to think about developing site structure through the mindset of how the users should use it, and instead create the restaurant website design on how their team uses it internally. This often leads to a development process that lacks navigation elements that are clear and easy to use. Remember that a more straightforward navigation is always going to be more user-friendly than something that is more complex and difficult for users to use. More specifically, it is important to note that users don’t go to a site and go to the top navigation when they are seeking more information — they start scrolling down. While keeping that in mind, also consider that most of the relevant information should be above the fold so that it is visible and gives users a good idea of what your company is all about in case they don’t take the time to look through the entire page. Tell a story to your audience as they scroll down, allowing them to learn more as they progress through, while still clearly providing all the “essentials” on the page. There is no need to use copious amounts of copy in your restaurant website design to get across the core message to your audience. Using minimal text that is supported with excellent images is going to do a better job at conveying your central ideas than having too much text. You don’t want to start with a big paragraph and overwhelm the reader. Instead, showcase what you are known for and bring that idea across with the images you use. If you’re in the food industry, you can be sure most of your users aren’t going to be sitting on a desktop — they’re on-the-go, so it’s essential that you have a responsive site to reach your audience on mobile devices. The mobile version of any food website should feature concise messages partnered with images to effectively stress critical points without overloading or boring the user with too much text —, especially on a small screen. This is becoming increasingly true across all verticals, and as a result, mobile should be a priority regardless of industry. Find out how to optimize your restaurant website for getting more orders and increase the usability. Furthermore, take the time to look at your various multimedia elements and consider alternatives if they are slowing down your website’s load times on mobile. Not everything that is suited for your desktop version is going to be fitting for the mobile rendering of your site — however, the overall look and feel of your mobile site should have branding that is consistent with your desktop version. Even if you do have a gorgeous and well-designed website, it would be of little use if it isn’t discoverable to your customers. This is where Search Engine Optimization comes into play. Doing the SEO of your restaurant website means that your restaurant would appear high up in the Google ranking and be visible when someone searches for something relevant to your restaurant. For example, if someone searches for Ice-cream and shakes near me, your ice-cream parlour’s website link should appear right on the first page of Google. This article will tell you how to do the Search Engine Optimization of your restaurant’s website in the right way. As we mentioned earlier, your restaurant website is the virtual face of your restaurant and plays a crucial role in maintaining the Online Presence and Branding of your restaurant. Thus, it is essential that your restaurant website reflects the theme and concept of your restaurant brand. Ensure that the logo of your restaurant is visible on the website. The website should also ideally follow the color scheme and theme of your restaurant. Having an appealing restaurant website design and using that to enhance your online business can be a challenging proposition. However, when done correctly, it can pay huge dividends that will help increase your online return on investment substantially. A helpful way to make sure these elements are done right is to find the perfect Digital Agency partner to help you create the best possible presentation for your specific vertical concerning both design and usability. As a restaurant owner, you must be aware of the various ways in which you can harness the potential customers in the market, hence, follow these essential tips and make your restaurant website a winning success!